Here is a small list of places of interest for the shopper in you. 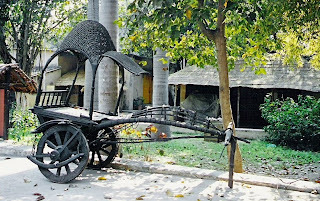 The Crafts Museum complex is a charming oasis in the midst of the hustle and bustle of Delhi. Mud huts with painted walls and thatched roofs, courtyards, terracotta horses recreating village shrines, craftsmen at work are some of the elements that add to the rural ambience of the place. Within the museum itself are examples of traditional Indian crafts, wooden carvings and images, metalware, especially ewe Perdue objects from Bastar, West Bengal and Bihar, clay and terracotta pots, toys and images, folk and tribal paintings, jewellery and textiles. The Central Cottage Emporium in Jawahar Bhavan at Janpath is undoubtedly worth a visit for anything ethnic anc chic. It has almost anything that you might desire to buy. From furniture to clothes, to shoes that are typically Indian, to small gift items that could work as souvenirs, the Cottage Emporium has it all. The quality is absolutely the best and the prices are reasonable enough. 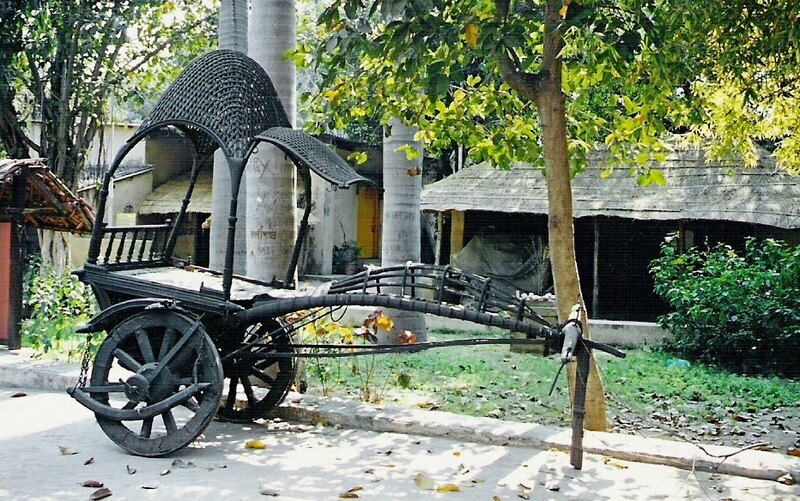 In the rustic background of the Crafts Museum at Mathura road, one can pick up great bargains on items like shawls, pottery and paintings. 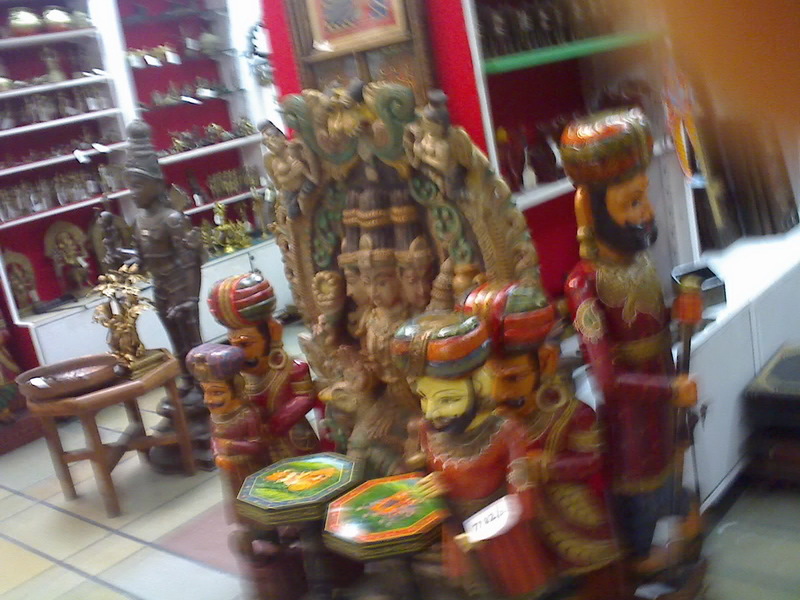 For those who are interested in antiques, Sundar Nagar is just the place to be in. Of course for cheaper antiques, it is Chandni Chowk. While in that area, Dariba Kalan, a narrow street, may be visited for gold and Silver. Chandni Chowk is famous for jewelry and saris, so for those who wish to get a feel of the tradition of India, Chandni Chowk is the place to visit. Chandni Chowk is also the place to buy silverware and jewellery. 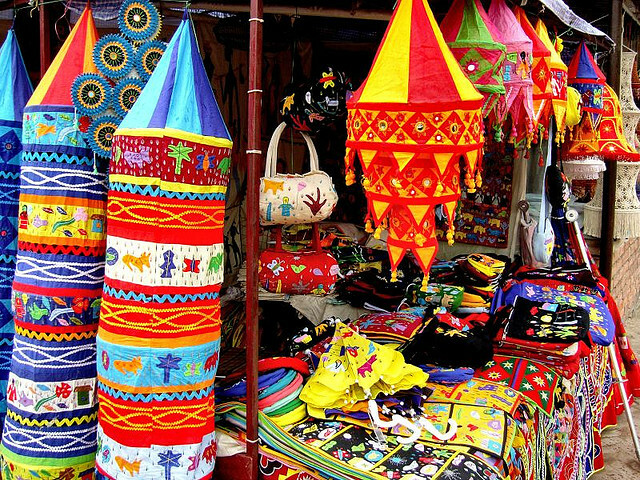 Sarojini Nagar Market is for those who want fashionable clothes at reasonable prices. Even before the latest couture designs hit the boutiques, their cheaper version appears here. One of the major attractions of the Sarojni Nagar Market of Delhi, India is that it provides even branded goods at cheap prices. This is so because export surplus garments as well as rejected export clothing comes to this market at throw away prices. Right from Levis to Van Huesen to GAP, you will almost every Indian as well as International brand here. 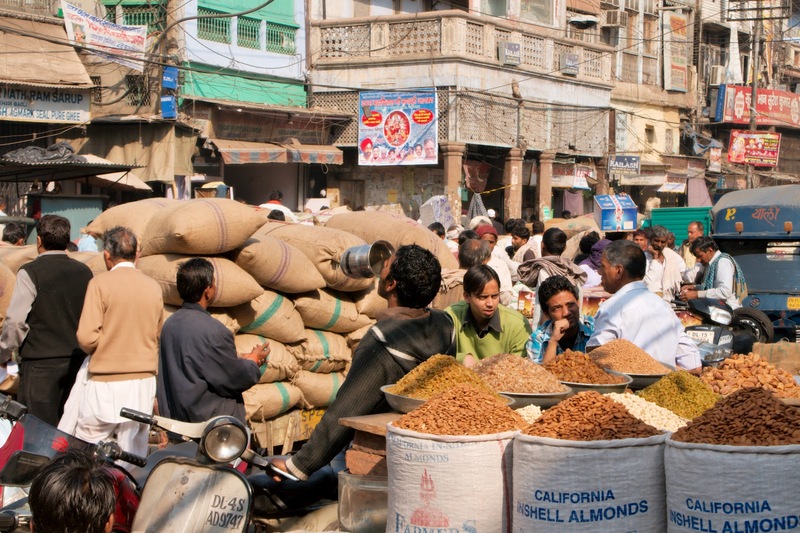 One thing to remember in the Sarojini Nagar Market is to bargain and haggle a lot with the shopkeepers to get a reasonable price. 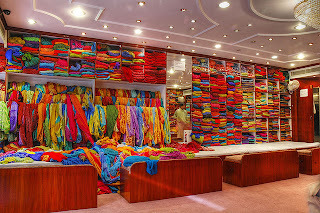 Jaipur is a treasure trove for shoppers, shopping is irresistible, a wide range of handicrafts are available in the market, most of items are produced in the centers in and around the city. Bapu Bazaar and Nehru Bazaar: Here you can purchase textiles, local perfumes and shoes made of camel skin. Mirza Ismial Road (MI. Road): The broad thoroughfare houses a large number of emporia selling a variety of goods ranging from jewellery and brass work to textiles, to blue pottery, to woodwork, etc. 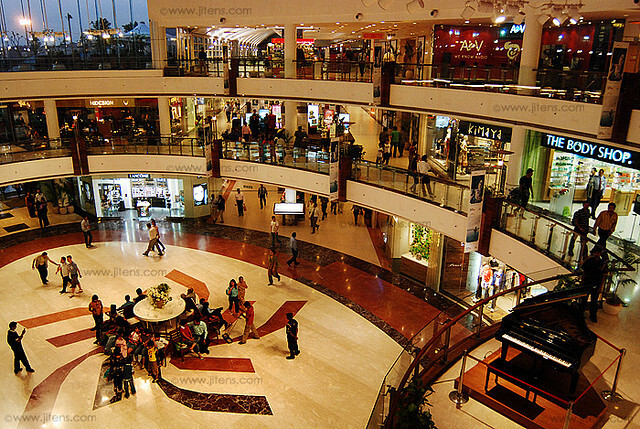 These shops stock a large variety of goods to satisfy the tourists’ needs. If you ever dreamed of owning and wearing a sari, the Vanarasi Saree is an Indian woman's coveted possession. The Banarasi sari speaks volumes of the genius of the traditional weaver. The Banarasi saris became more popular during the Mughal era and the sari weaving art reached its zenith. 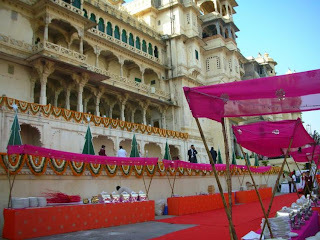 It was during this period when Sari weaving saw the amalgamation of Indian designs and Persian motifs. The Banarasi sari comes mainly in four different varieties. They are pure silk (katan); organza (kora) with zari and silk; georgette, and shattir. Sari weaving is kind of a cottage industry for millions of people around Varanasi. Most of the silk for the Banarasi saris comes from south India, mainly Bangalore. The Sari weavers weave the basic texture of the sari on the power loom. In weaving the warp, the weavers create the base, which runs into 24 to 26 meters. In an ideal Banarasi Sari there are around 5600 thread wires with 45-inch width.